In my life as a discerning traveler, there is a handful of hotels that are so super-expensive that I will never forget them. Due to my time-consuming and precise research before booking a hotel, all these enormous investments were always worth the splurge. So was is at the One&Only Reethi Rah (still my number one since 2009), the Santa Caternina in Amalfi, the Badrutt's Palace St. Moritz and now at Villa Dubrovnik. 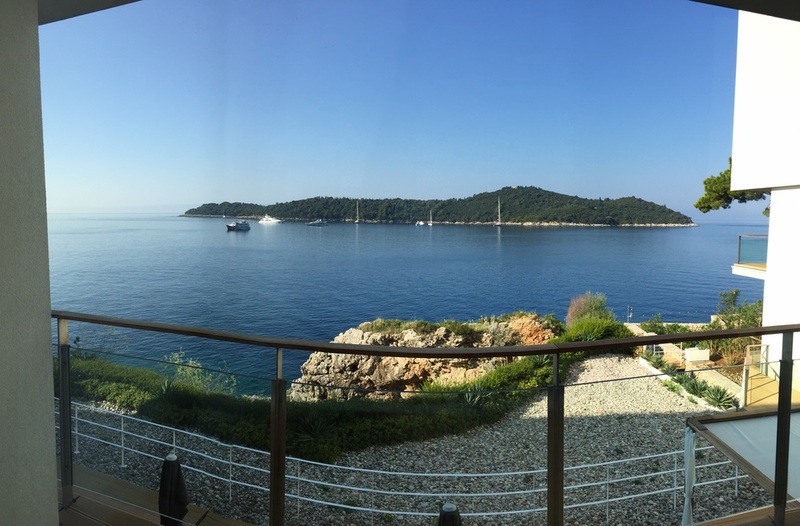 Never ever would I have thought to find one of the best hotels I have ever been in Croatia. Anyhow. The location of Villa Dubrovnik is killing everything else! If I don't find anything to claim, a hotel is truly near perfection. So I leave the cheap smell of the cleaning products and the not-yet-worldclass-beds aside and ask the hotel to buy Lampe Berger scent lamps or diffusors by Dr. Vranjes plus change their beds and it would be a full 10 points out of 10! 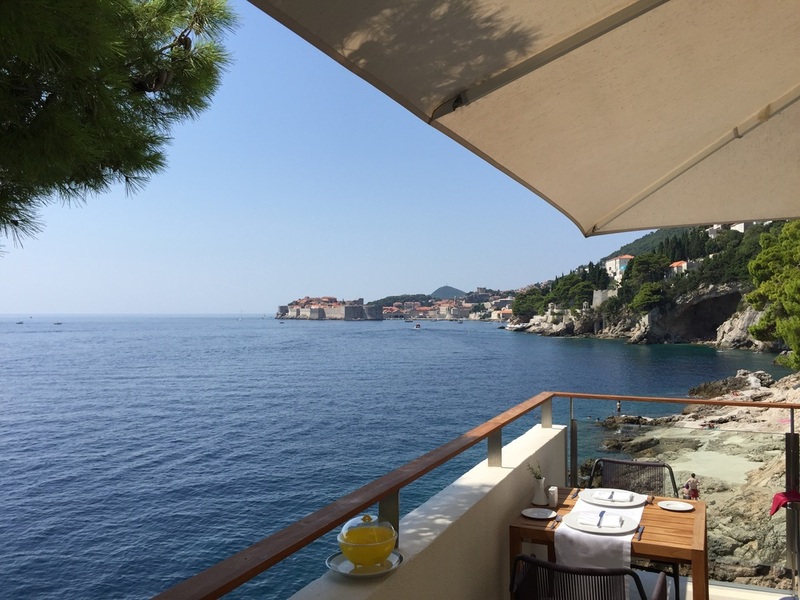 So overall the question: What makes the Villa Dubrovnik so extraordinary? First, it is the location. Even Cesar Ritz always insisted on location, location, location. I don't know another hotel that was built in such a setting and is fully using its amazing views from every spot and angle - you walk along the corridors and gather sea views, you take a shower and spot the Royal Clipper 2, you have breakfast and Dubrovnik welcomes its first day tourists opposite your fresh fruite plate or you just swim along the cool indoor pool while the sun shades are falling into your face. Did I mention the most amazing sunset of Dubrovnik? Alright, Point 2 are the views! The thrid reason is of course the design which could not be better for this setting. Floor to ceiling windows, more windows and terraces are opening onto the Med. The light furniture is a perfect pairing to these light Mediterranean interior design. The coolest and best shuttle service outside of Venice. A venetian wooden boat is transferring guests in the most stylish way into the old town of Dubrovnik. The best about it: the schedule does not end at 6pm and guests need to dine in the hotel. Not at Villa Dubrovnik, so every guest can have an unforgettable evening in Dubrovnik and doesn't have to rush back to the boat until 11pm! And that's amazing as well. Private Beach Access? 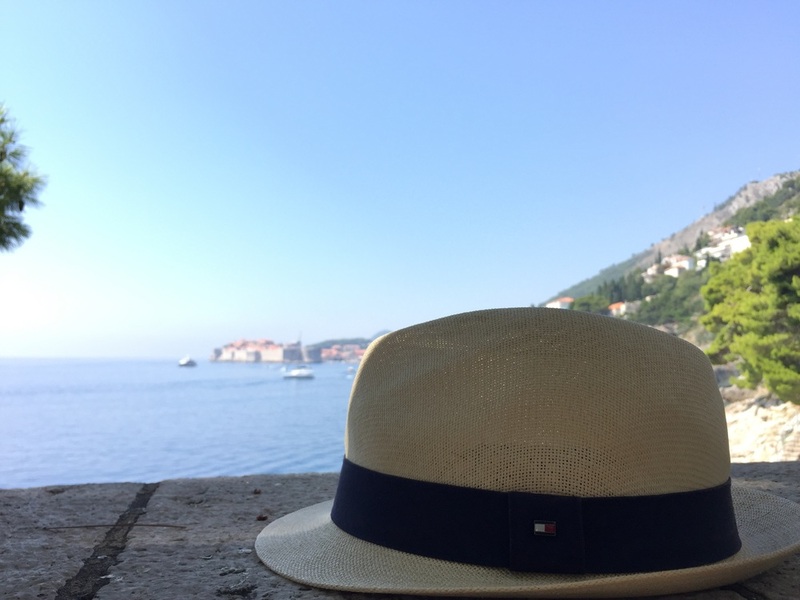 Reason number five is also special for Croatia (not directly for Dubrovnik), but it is indeed one of the only private beaches with views of the old town. There is just one thing to get under control: the ants of the wonderful pine trees can be disturbing if you lie in the back rows. Please improve the service at the beach - the staff was not very helpful there plus add some complimentary refreshments like small juices and fruits to show the guests a sign of appreciation. Every room with sea view and terrace? Yes, that's reason number six and also makes Villa Dubrovnik even more affordable. 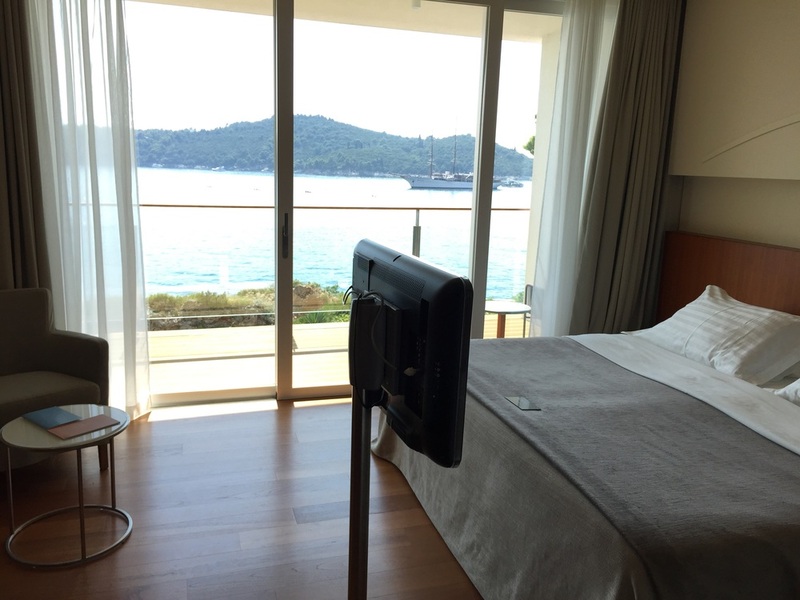 Think of booking a sea view room in another hotel and you also pay nearly as much as a room at Villa Dubrovnik costs. They could have invested in a seperate shower as a shower-tub-combo is not state-of-the-art for a Leading Hotel but the Etro toiletires come up for it. Reason number seven: The people. Francesco, the Resident Manager is truly wonderful and making sure every guest feels good and welcome. Furthermore I had the pleasure to meet the amazing Sales and Marketing Manager Paula who joined me for lunch. It was a nice contrast to the international guest side, which are mostly Aman Sveti Stefan (will be inspected in May 2016) regulars who stop for an unforgettable ending in Dubrovnik. 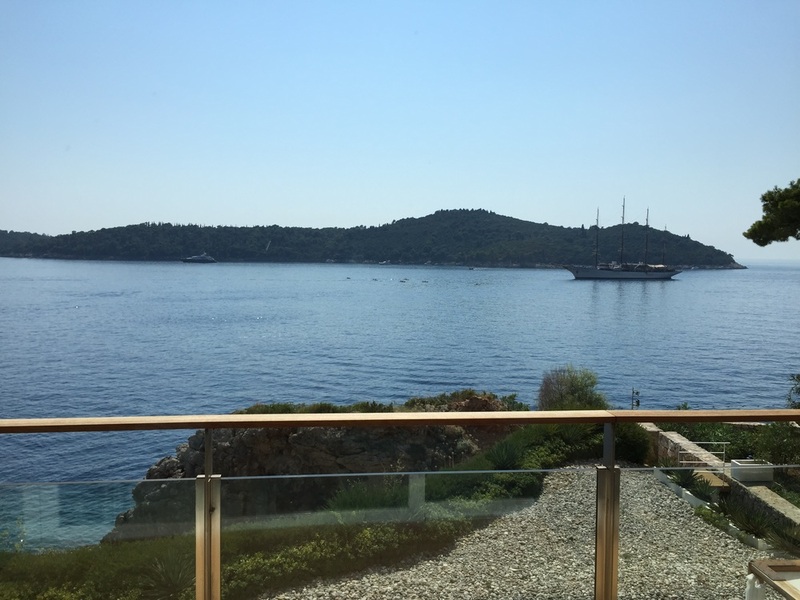 Reason number eight: It's Croatia's most expensive hotel and after having stayed at the real top hotels, I have to admit that no other property can compete with Villa Dubrovnik. 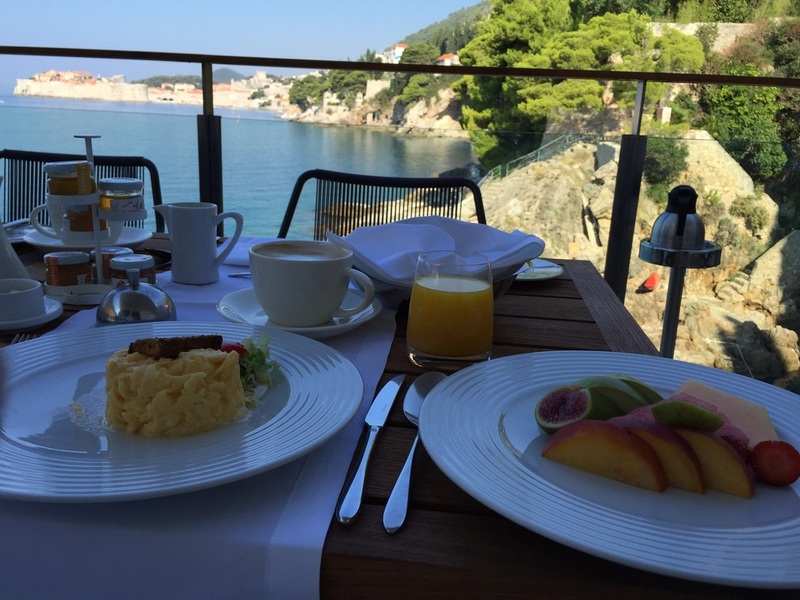 Dubrovnik is the most wonderful spot in Croatia and Villa Dubrovnik the most luxurious and most wonderful place to stay - that's it! My favoutite part of the stay was, beside the views and design, the breakfast. What's better to start the day then with a relaxing a la carte breakfast. I started ordering a fresh fruit plate followed by an orange juice. The capuccino was very good as were the scrambled eggs. My server, he was from Capri, was a bit reserved at first but after telling him that I love Capri (I could spend every summer there if there would not be other nice destinations), he was super friendly and much more outgoing. After having spent nearly as much as others pay for a one-week-trip to an all-inclusive resort in Turkey, I have to admit that I would not need this every day but it was an excellent choice and a perfect final for my private summer trip after a week in Montenegro and another week in Croatia.